It's been a minute since I shared anything beauty-related in this space, so from one girlie-girl to another— that's you!— I figured some good ol' fashioned beauty-talk was long overdue. 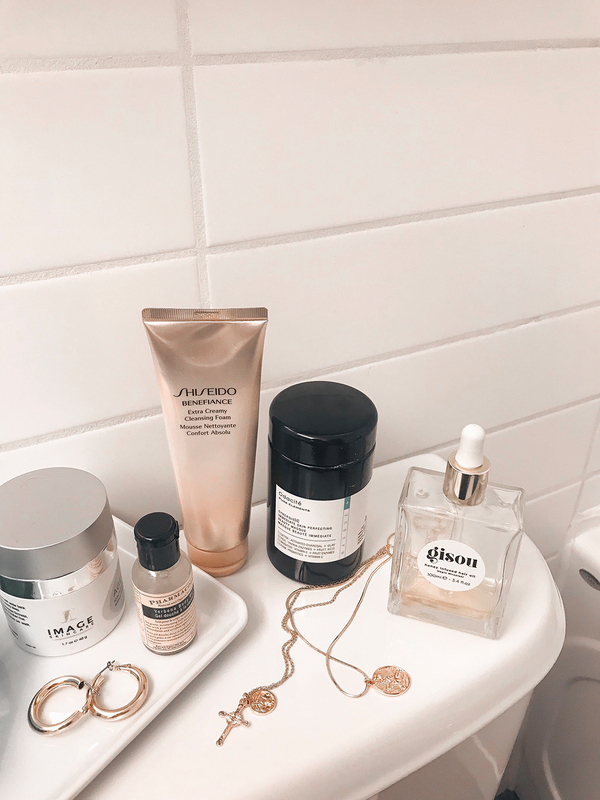 So with that said, here are some of my current go-tos if you're looking to spice up your bathroom cabinet, and as always, I would love to hear what you're loving at the moment... gotta fuel that beauty addiction somehow! 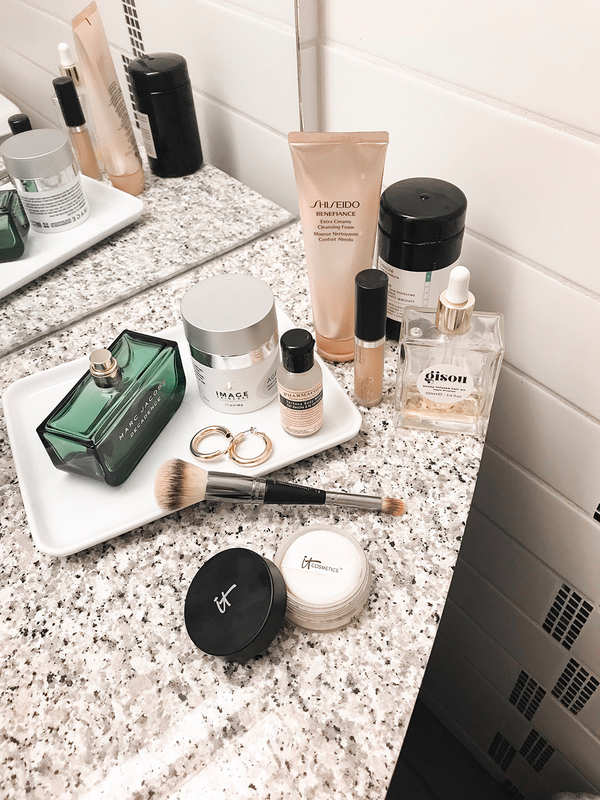 I regularly used this one about a decade ago, and recently came back to it (fun fact: Shiseido is the brand that first kickstarted my skincare obsession at the tender age of 12!). It's removes all signs of makeup while gently exfoliating, and it's quickly become my go-to cleanser. It's great for all skin types and helps the appearance of dullness and uneven texture, which is especially helpful this time of year. This is easily the one skincare product I can't live without; I use it 2-3 times a week, and am hopelessly devoted to its miraculous ability to smooth the texture of my skin. It also helps support collagen production and slows down moisture loss in the epidermal layer of the skin, all while you sleep. I've talked about this one ad nauseam, but it's just. that. good. You can read my original review here, but just now this— it's been in heavy rotation ever since I first wrote about it. This is probably one of the top-five concealers I've ever tried; it glides on and sits nicely over the undereye area without settling into creases, and the coverage is unreal. The best part? It's packed with skin-friendly ingredients like sea fennel— which encourages the body's natural production of collagen— and Vitamin E to help shield against environmental stressors. In my opinion, this one's worth every penny of its $45 price tag. This award-winning powder is always the final step in my makeup routine because it really does reduce the appearance of pores for— as the name would suggest— an airbrushed finish. It's also formulated with anti-aging ingredients like hydrolyzed collagen, antioxidants and peptides, and most importantly, it's cruelty-free. Bless.